Uzbekistan Visas are required for all US Citizens and many foreign nationals prior to leaving the United States. Using our Uzbekistan visa service, we can personally guide you through the Uzbekistan visa application and obtain your Uzbekistan visa in time for your trip! Easy. We provide personal service every step of the Uzbekistan Visa process. Fast. Expedited Uzbekistan visa services are available. Please complete, print and sign one visa application on the Uzbekistan visa application website. You must provide 2 passport photos. 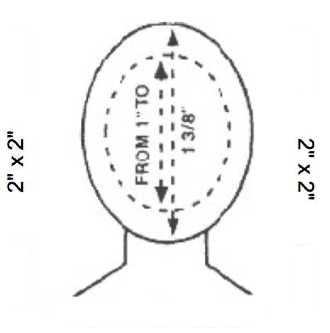 These passport photos must match the requirements of a standard US passport photo. They must be taken at an official passport photo provider (pharmacy, Costco, post office) and should not be taken and printed via a home photo printer. Copy of computer generated round trip tickets or travel itinerary showing round trip travel entering Uzbekistan and exiting Uzbekistan. Preferably, the proof of departure documents should show your departure from the United States to Uzbekistan and back. Additionally, the Applicant's name must be on the travel document. The Consulate of Uzbekistan requires an invitation letter produced by an authorized agency in order to be granted a visa. If you are visiting Uzbekistan as a tourist you will be required to submit an tourist voucher/support letter from an authorized travel agency. This is normally issued to people staying a major hotels. For applicants staying at a private residence, you will need to obtain a letter of invitation issued by the “Department of Entry Exit and Citizenship of the Ministry of Internal Affairs of Uzbekistan. How long does it take to obtain a Uzbekistan visa? What is the difference between a passport and a Uzbekistan visa? Do I need a Uzbekistan visa? What is a Uzbekistan Visa?